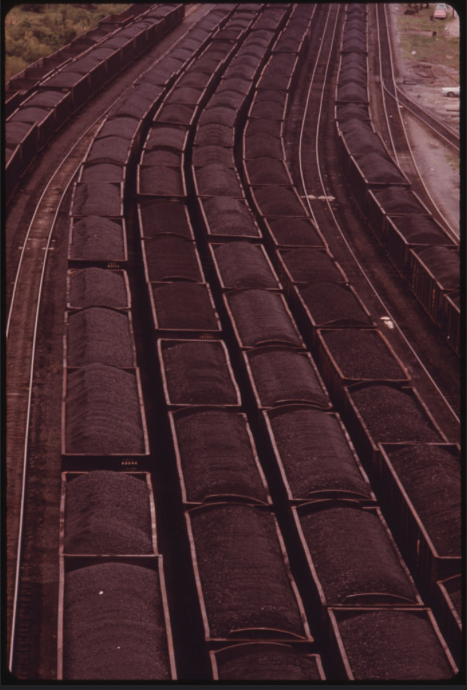 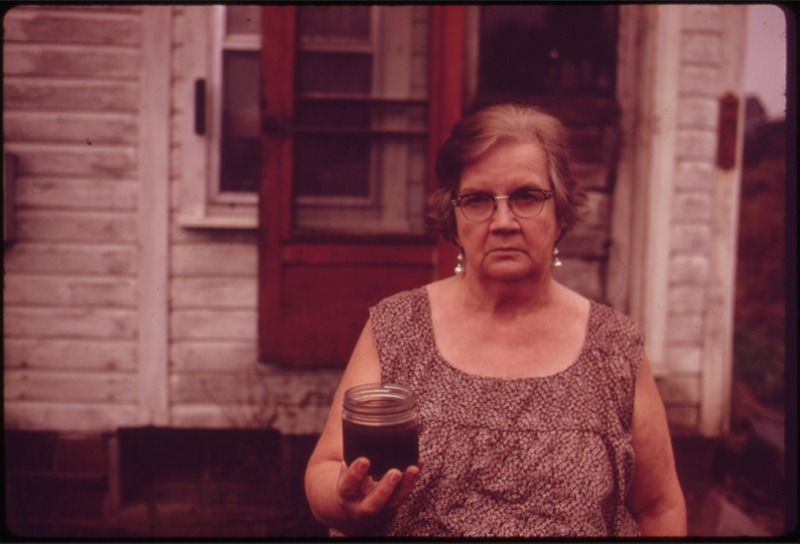 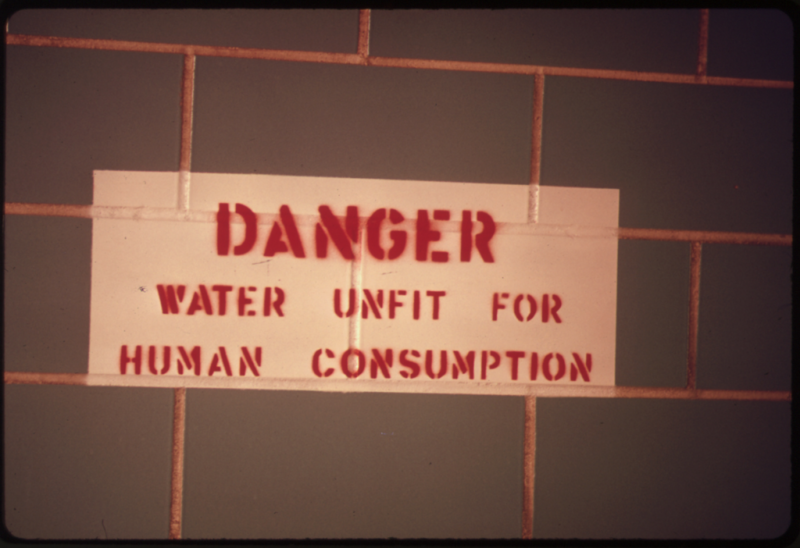 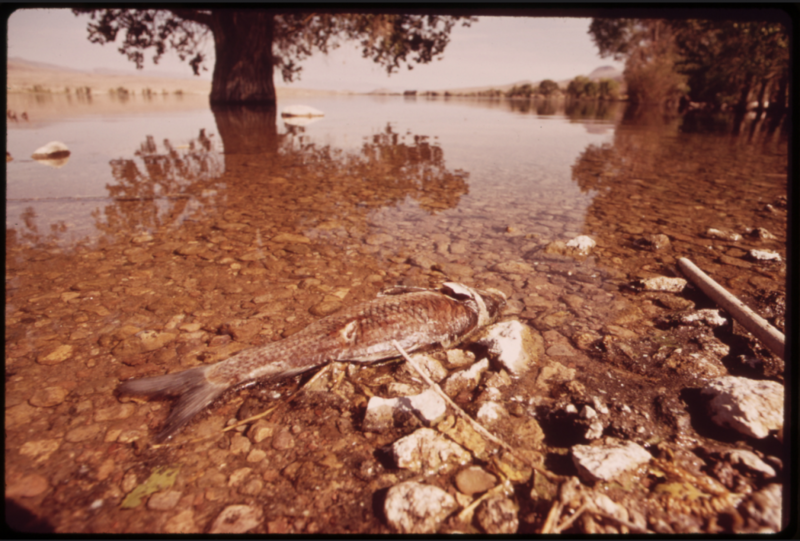 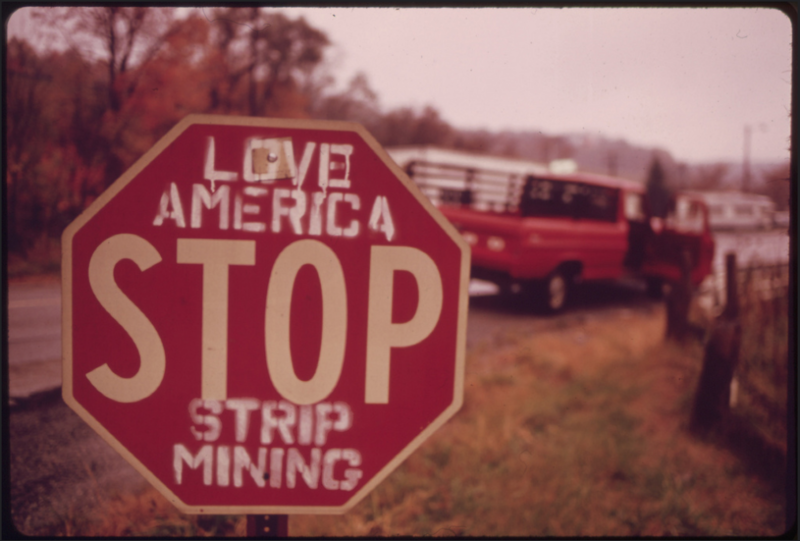 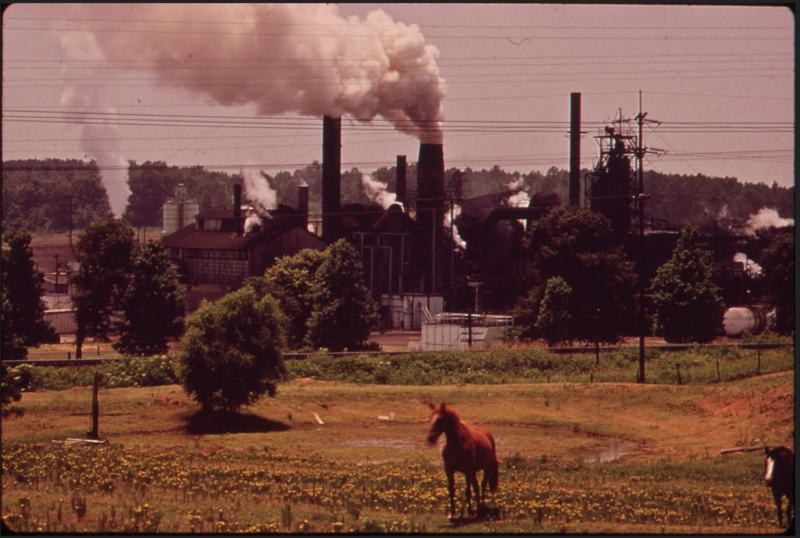 In the early and mid-70s the then newly established US Environmental Protection Agency (EPA) hired a couple dozen freelance photographers to document environmental problems in the US for a project they called Documerica. 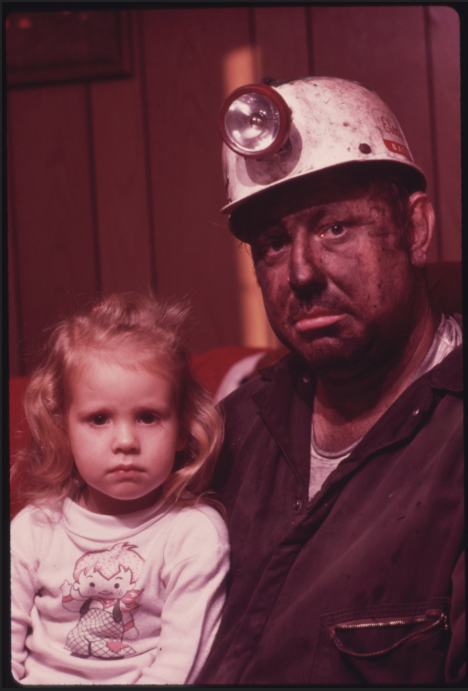 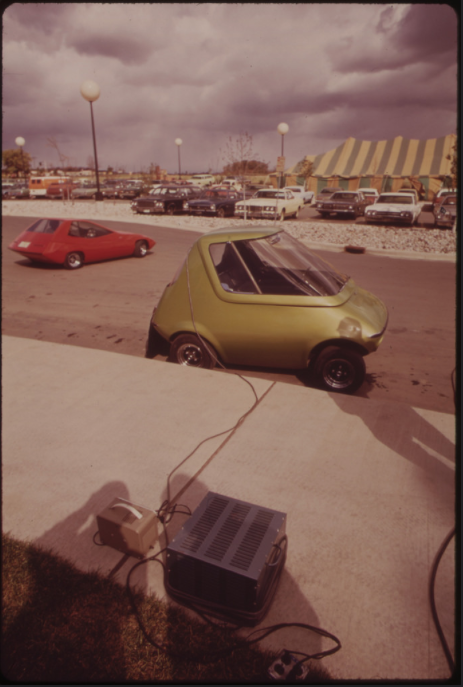 These 15,000 images are now part of the national archives and available here. 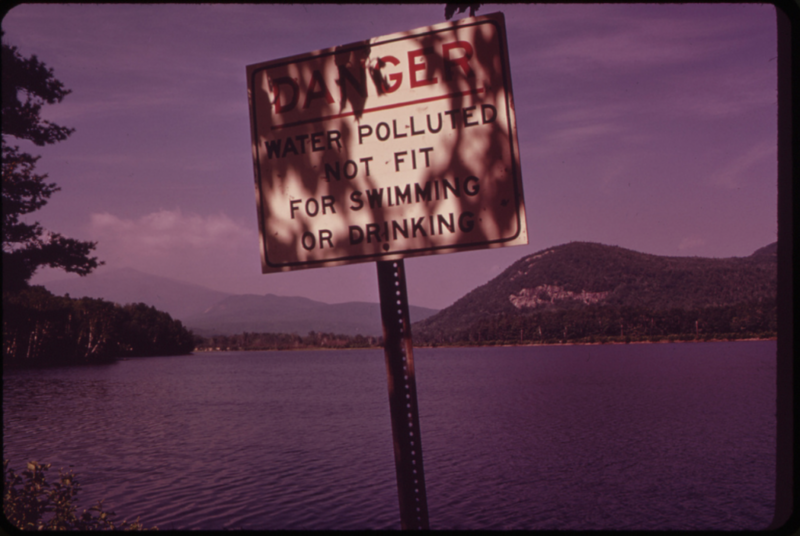 As the EPA budget, staff, and regulations are being severely slashed by Trump and the Republican controlled House and Senate, it is worth reflecting on some of the problems that the EPA has served to address to make our air, land and water cleaner and safer for humans and other species. 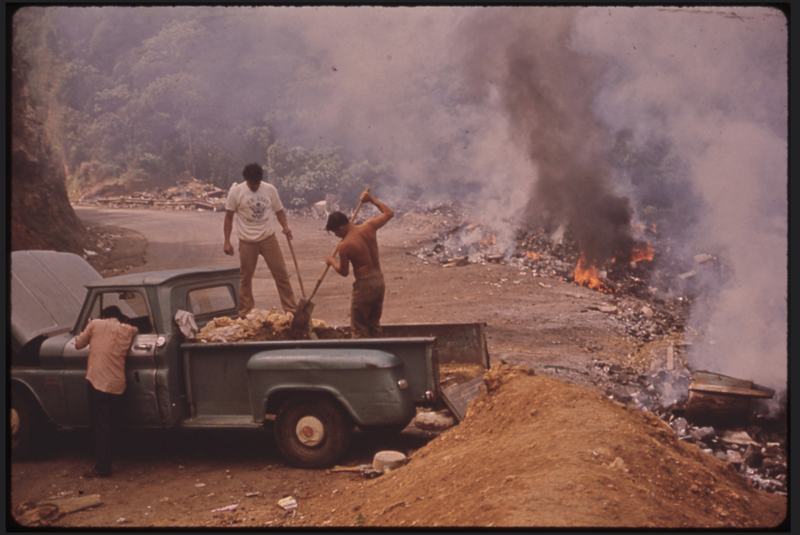 Below is a selection of illustrative images from the collection. 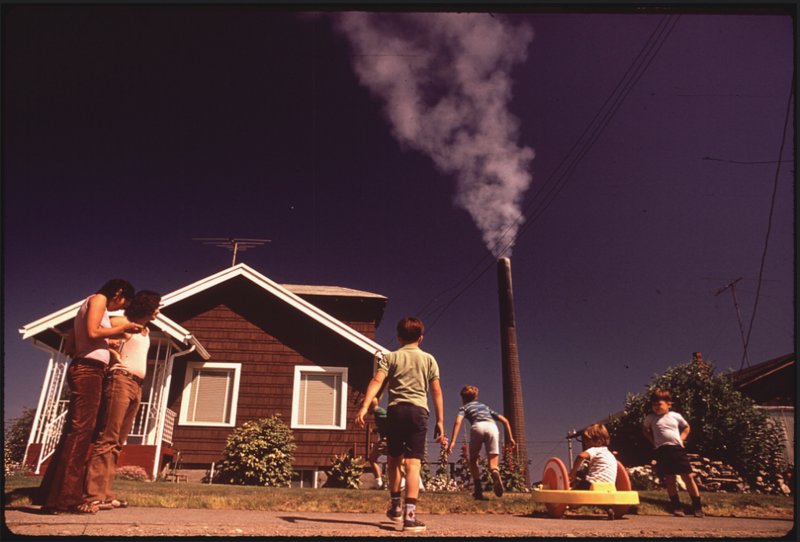 Original Caption: Children Play in Yard of Ruston Home, While Tacoma Smelter Stack Showers Area with Arsenic and Lead Residue, 08/1972. 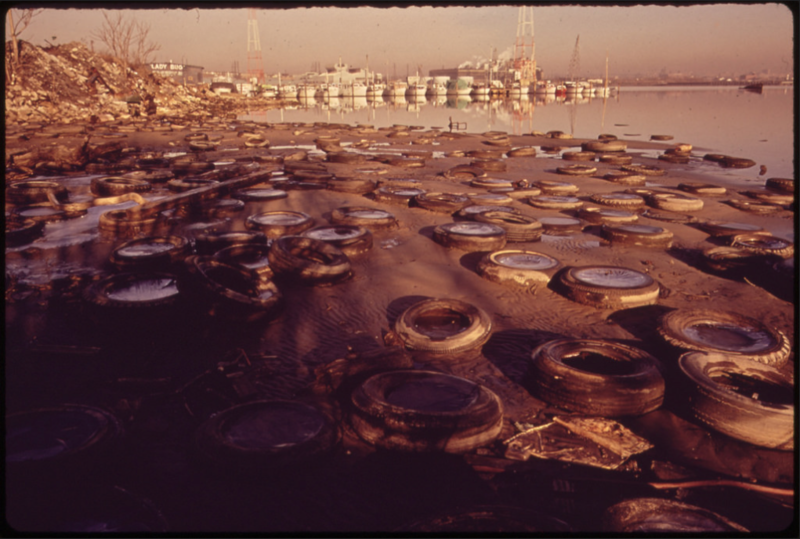 Original Caption: Trash and Old Tires Litter the Shore at the Middle Branch of Baltimore Harbor, 01/1973. 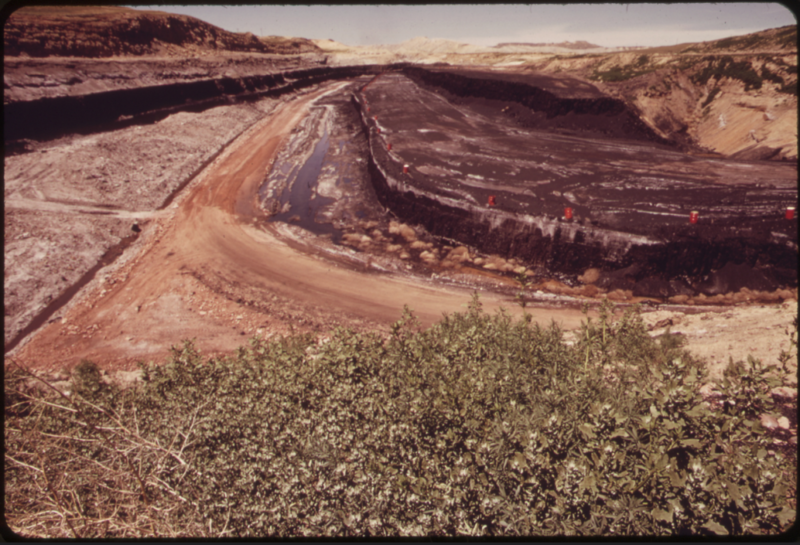 Original Caption: The Goergetown Gap, Through Which Raw Sewage Flows into the Potomac. 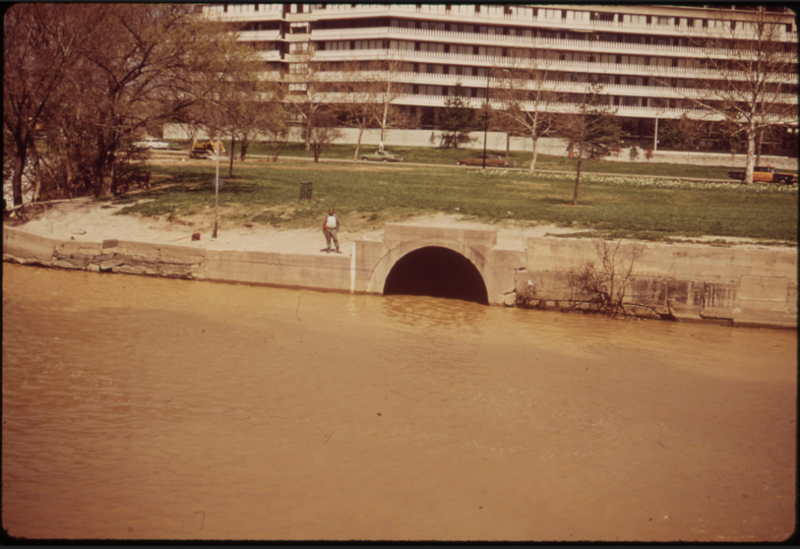 Watergate Complex in the Rear, 04/1973. 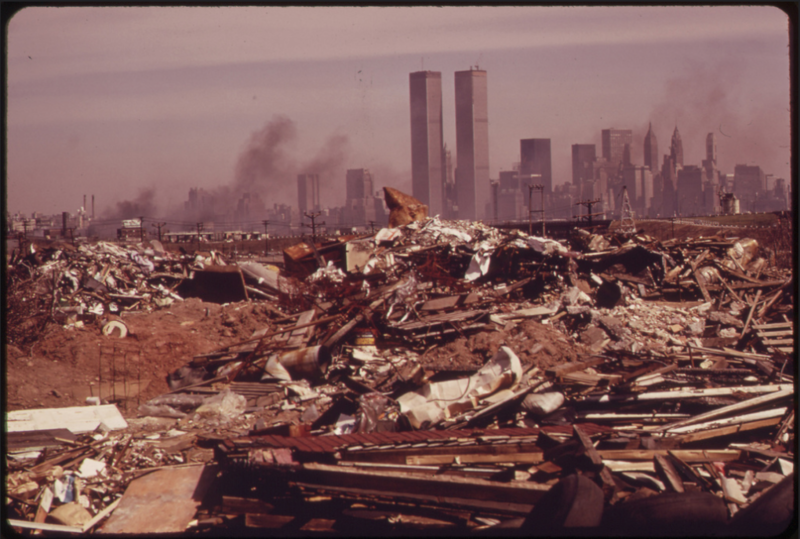 Original Caption: Illegal Dumping Area off the New Jersey Turnpike, Facing Manhattan Across the Hudson River. 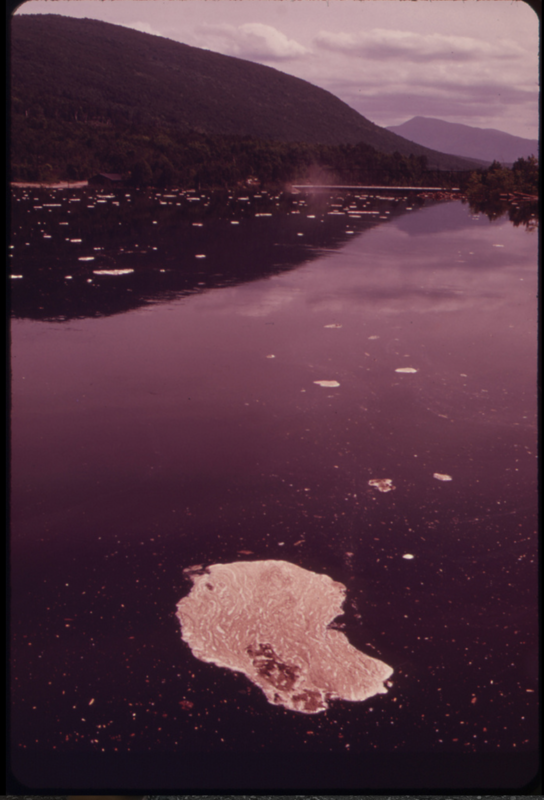 Nearby, to the South, Is the Landfill Area of the Proposed Liberty State Park, 03/1973.